I’ve been thinking about the pleasure I get from reading. I read all the time. I can’t help myself. I should probably get out more. 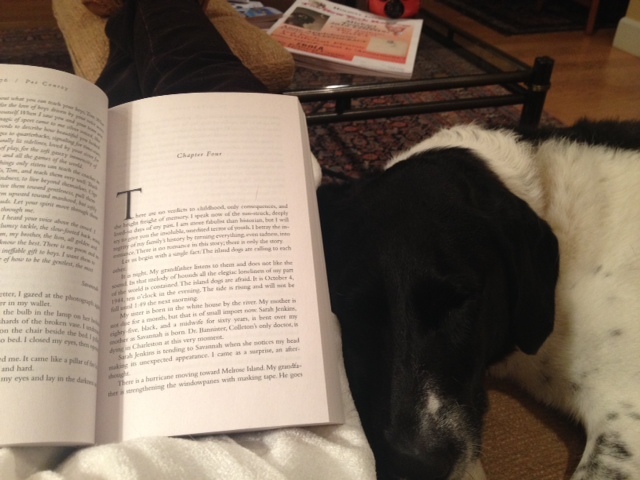 That said, I especially love reading fiction — not just for the refuge it offers from the chaos of life, or the access to virtual adventure, but mostly for the variety of voices and moods and sensibilities of the authors and characters I meet. I’m interested in the way that a particular book may strike me as dull or depressing or silly or something just off when I first pick it up, and then months or years later the same book fascinates me and becomes one of my favorite books of all time. This reminds me of my Montessori teaching days. Maria Montessori posited that children have “receptive periods” for learning particular skills and if you try to push them into learning that skill before they are ready, it will not happen. So it is with novels. Over the last few weeks, my reading has been eclectic. 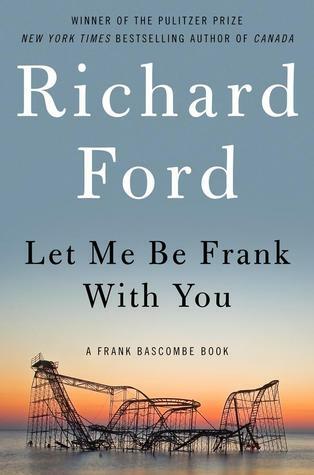 I read Richard Ford’s latest Frank Bascombe book, Let Me Be Frank With You (great title!) which I expected to love at first sight, and did love from the first sentence. When I heard the author on Fresh Air recently talking about this book (three interconnected stories, not a novel), I found that Richard Ford in person, as on the page, made me laugh out loud with all his self-deprecating comments and dry wit. In response to one of Terri Gross’s well-crafted questions about something she perceived as a metaphor in one of the stories, he said, “Well, Terri, I try not to put any metaphors in my writing, I just write stuff down.” Ha, ha! Of course, I think Richard Ford is brilliant and metaphors may simply come naturally to him. These stories are darkly humorous in places and just plain dark in others. The final story, in which Frank goes to visit an acquaintance of his who is literally on his death bed is grim, and I couldn’t find much to laugh about there. But the first story had me laughing uproariously at silly things (flatulence in the aging human, as one example) and insisting on reading paragraphs aloud to my spouse, who somehow never thought they were as funny or remarkable as I did. It’s probably just not the right time for him to read these stories. But for me, I now want to re-read the whole Frank Bascombe trilogy – The Sportswriter, Independence Day and, my favorite of the three, The Lay of the Land. It would be fun to re-read them in order and see what happens. As a side note, Richard Ford is in Seattle today and reading from Let Me Be Frank with You tonight at the Central Library. Over the Thanksgiving weekend, in between multiple dinners with various extended families coming together, I read The Storied Life of A.J. Fikry, by Gabrielle Zevin. We (one of my book groups) decided to read this novel because it is relatively short (273 pages) and appeared from the reviews to be uplifting and well-written – it is a Goodreads nominee for best fiction or something like that. 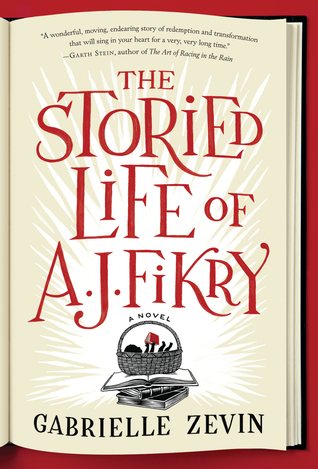 This is the story of a young man, A. J. Fikry, the owner of a bookshop on an imaginary Island in the Northeastern U.S. who, as the novel opens, is a wreck. He’s spending another night eating a frozen entrée alone in his apartment above the shop. Disgusted with himself and his life, he throws the food against the wall and gets drunk. And it gets worse. We learn that A.J. is a recent widow, his wife having been killed in a car accident, he has a drinking problem, and his business is failing. But A.J. is a book lover and this night he gets out his most valuable book – a first edition of an early work of Edgar Allen Poe – and sets it in the chair opposite him as a stand-in for his wife before he passes out. When he awakens the next day, the Poe is missing and we’re off. As in any good novel, things continue to get worse for A.J. before they get better. Getting better in this case is having a toddler deposited in the children’s section of the shop while he’s out for a morning run (the aforementioned binge having been his wake-up call which kick-starts him into taking control of his life.) It’s sentimental and predictable, of course, that this toddler, Maya, will change his life. And she does. A.J. becomes quickly attached to Maya, cannot give her up, and soon is her adoptive father. The story moves quickly through the years and the ups and downs of A.J.’s life as new father and bookstore owner. He and the secondary characters in the book – his dead wife’s sister, her author husband, the island’s police chief, and a publisher’s rep who comes to present her employer’s winter list of new books at the beginning of the novel – all play a part in the underlying drama of A.J. and Maya’s lives in the bookshop. As the years pass and the story unfolds, we get the added benefit of brief reviews of A.J.’s favorite books which he sprinkles throughout the book as reading suggestions for Maya when she grows up. This is the quintessential novel for old-school book lovers. Not only do we get the story on the page, but we get these recommended gems (many classics, but some I was not familiar with) directly from another book lover. And the story itself surprises me. Just when I’d pretty much forgotten about the unlikely event that brought Maya into A.J.’s life (willing suspension and all that) the author drops a clue about that, and then another, and then another, until we as readers get the whole story. But A.J. and Maya do not, which is just as well. Sad things happen in The Storied Life, as sad things happen in all lives. If I’m picky, I’d say there are too many convenient deadly car wrecks killing off characters and one case of a rare and deadly cancer. Is this really necessary? But this too happens in real life, right? And who cares? This book has entertained me for a couple of days and given me suggestions for future reading at the same time. Lovely. So now I’m off to South Carolina. 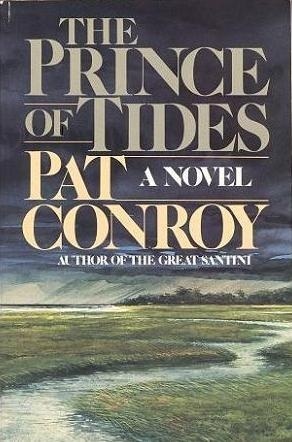 The other night I picked up Pat Conroy’s The Prince of Tides to re-read. And what a timely read for someone living in the cold and dark Pacific Northwest. Ah, to be transported to the hot, briney, shrimpy-smelling tidal lowlands of South Carolina seems just about perfect to me right now. I hope that during the crazy frenetic rush of the holidays you find time to sit down with the perfect book that transports you, or validates you, or challenges you, or makes you think, or simply entertains you. And don’t immediately discard that novel you get as a gift. You know, the one you that bores you or makes you want to throw it across the room. Just put it on the shelf for a while. Its time may come. This entry was posted in Book Reviews, Rachel Bukey book reviews, Uncategorized and tagged Gabrielle Zevin, Let Me Be Frank With You, Pat Conroy, Prince of Tides, Richard Ford, The Storied Life of A. J. Fikry. Bookmark the permalink.